Who does not like avocados?, It was tender and delicious. People used to consume in a way making juice. Besides it tastes very delicious, eating avocados provide many benefits for our bodies, one of which is good for maintaining the beauty of the hair. But, aside from that, the consumption also has many benefits for our health. Avocado is one of the nutrients that can inhibit the growth of prostate cancer. Research has shown that certain compounds in avocados can search for cell growth of oral cancer cells and destroy them without harming healthy cells. Avocado contains oleic acid, which has been shown to be able to prevent breast cancer in numerous studies conducted. Avocados have more substance than the carotenoids lutein other common fruits we eat. Lutein can protect against macular degeneration and cataracts. One cup of avocado has 23% of the total folate daily folate requirement. Studies show that people who eat foods rich in folate have a lower potential of heart disease than those who never took it. Vitamin E and monounsaturated fats in avocados are also good for your heart. 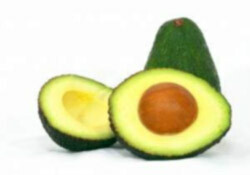 The high levels of folate in avocado are also able to protect against stroke. People who eat foods rich in folate have a lower risk of developing the disease possible stroke than those who do not consume a diet rich in folate. Avocado is a fruit that produces vitamin E, an important vitamin that protects our bodies from a variety of disease and help maintain overall health. Eating avocado is profitable and has many benefits, unfortunately not all regions can produce fruit, so the fruit is relatively expensive price. But although expensive, you try to keep taking it!